The most luxurious of the HydraFacial treatments is the 75 minute Zama Signature HydraFacial MD service. 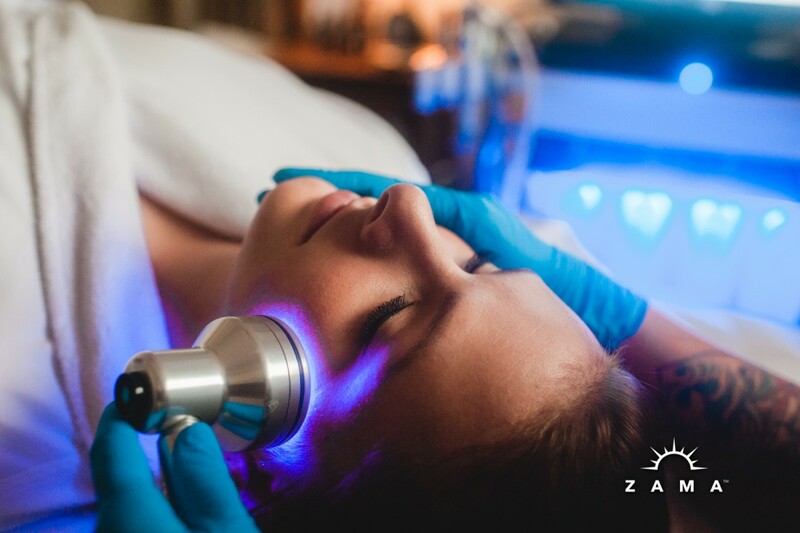 The Zama Signature HydraFacial MD is like no facial you have ever experienced. It will leave your skin glowing for weeks with its breakthrough resurfacing and fusion technology. This non-invasive treatment infuses your skin with antioxidants, peptides, and hyaluronic acid and the results are immediate. 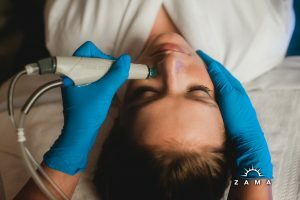 The Zama Signature HydraFacial MD service includes anti-aging solutions with real results plus a healthy dose of our handcrafted massage techniques. This 75 min service includes lymphatic drainage across all the major points of the face. This will increase circulation, blood flow, and break up any congestion. The next step is the 5 step Hydrafacial treatment with an upgrade to of either Britenol or Dermabuilder to help increase results in the areas you are wanting. 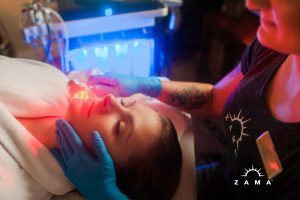 Next, an LED treatment will assist to further repair damaged skin and increase the quality of the results. After the LED light treatment, we’ll give you a lip treatment using Dermabuilder to naturally plump and soften lips. Next we’ll add in an exfoliation and firming treatment to your neck and décolleté, which decreases and prevents signs of aging. Once the HydraFacial portion is complete, sit back relax and enjoy the luxurious pampering for your feet, hands, neck and shoulders! First, a warm honey heel glaze is applied to the soles of your feet to hydrate and nourish your achy feet. We’ll wrap them with a hot towel to soak up the nutrients. While your feet absorb the nourishing honey heel glaze, a relaxing massage begins from your neck down to your shoulders and into your hands. Your therapist will use FarmHouse Fresh Agave Oil, which moisturizes and softens skin immediately while offering a wonderful aroma. To conclude this service, we’ll give you a deep and therapeutic foot massage as finishing touch to your newly hydrated souls. This service is sure to leave you feeling clean and refreshed from head to toe!